This might be a little hard to take amongst the EU countries previously occupied by force by the Soviet Union. Perhaps this is the reason that, quite exceptionally, the Commission did not publish this speech or offer photos. Nor did Mr Juncker apparently reply to a letter of 1 May from eminent members of the US Congress representing the Victims of Communism Caucus. It strongly urged him not to attend the Marx festival and the unveiling of Communist China’s gift of the monster Marx monument. The Congressmen pointed out – in contradiction to what Mr Juncker actually said about Marx being misunderstood – that as early as 1848 he had militated for “revolutionary terror”. Terror was, said Marx, the only method to shorten “the murderous death agonies of the old society and the bloody birth throes of the new society.” With a worldwide death toll of more than 100 million, Marx’s ideology is the most destructive in human history, the Congressmen wrote. A few days later on Schuman Day 9 May, President Juncker addressed the Flemish Regional Parliament. Schuman Day marks the beginning of the European Community when the French government proposed that other European countries join it in creating a European Community within the Human Rights framework of the Council of Europe, originally called the European Union. (Schuman’s government had proposed the latter in 1948.) Mr Juncker spoke of the apparently inevitable and unstoppable decline of Europe. Its share of global wealth and population would decline drastically, he declared. It was what Americans might call a Make Europe Small Soon, MESS, as distinct from President Trump’s Make America Great Again, MAGA. Territorial size made no difference to the United Kingdom – a small group of islands offshore from the Continent – which in the twentieth century created an empire embracing a quarter or more of the entire globe. Nor did its smallness make any difference when all the ancient States of the Continent fell under the Nazi yoke. Britain stood alone. Schuman too stood alone as prisoner of the brutal, SS General and Reichskommissar Josef Buerckel. He rejected the threats of the SS who told him he faced death in Dachau if he did not collaborate with Nazis. At different times and in different circumstances, both Schuman and Churchill affirmed the Vision that they were imperfect instruments as God worked out his Master Plan below. Thank God! 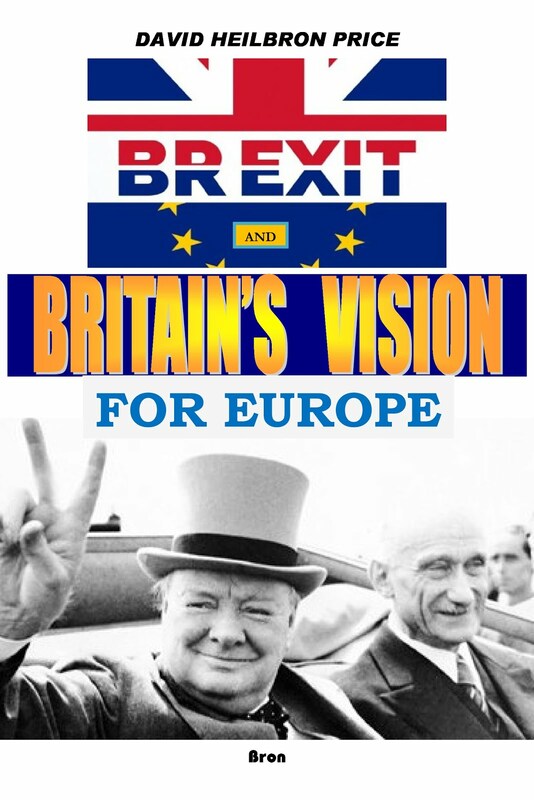 In 1946 Schuman and Churchill stood side by side to build a new democratic Europe. Jean-Claude Juncker is a native of one of EU's smallest States. Yet the royal House of Luxembourg once ruled the mighty “Holy Roman Empire.” Today it hosts some of the world's biggest banks and international companies. But that did not seem to play an argument on Mr Juncker’s unresolvable pessimism. When it comes to the EU, Mr Juncker seemed to embrace of the dangers of being small. His message was Think Small. Above all, Submissive and Small. And Powerless. “Europe is very little continent,” he said. “We don’t know it but the others know it.” Who these others are he did not explain. Europe covers 5.5 million square kilometres, Russia has 17 million square kilometres. The logic of this did not seem to matter: Russia has only a quarter of the Europe’s population. “We will lose our economic power. We had 25 percent of the world’s population at the end of the previous century and will be 4 percent at the end of this century when the world population will be 10 billion. In 20 years time there will not be one Member States representing one percent of world population, he told the Belgian politicians. This is not the first time that Mr Juncker has been going around sowing gloom and despondency to politicians in their roosts. What is the purpose of these gloomy forecasts based on suppositions and hypotheses? Perhaps Mr Juncker feels that Europe is in what Marx called the crisis of capitalism. It seems that Mr Juncker is mesmerized by Marx's Dialectical Materialism. That is the core error, something that Schuman saw as the principal mistake of our Age. Mr Juncker doesn’t seem to understand what a crisis really is. WW2 paralyzed the economy with debt and inflation, killed many of the finest men and women, and destroyed cities. Nationalism was in hyperdrive. In 1947-8 Europe was faced with an existential crisis of millennial-size proportions. After World War II politicians, diplomats and think tanks feared the total disintegration of Europe into a system of perpetual pulverization. During Schuman's premiership, the French Assembly was forcibly taken over by Communists. Trains were derailed, people killed in insurrectional strikes. Gaullists acted together with them to overturn parliamentary democracy. To some, revolution would overturn fragile governments in Paris and Rome as the Soviets had in the Baltics, Warsaw, Budapest, Sofia, Bucharest and Prague. Europe's crisis seemed unending. One think tank after grilling politicians and military published a report forecasting that Europe would descend into a morass of war and poverty unknown for five hundred years! The United States, despite the Marshall Plan and NATO would be unable to prevent this slide into chaos, the Foreign Policy Association said. When did the FPA publish this report on Europe and the United States? March 1950! That was hardly more than a month before Robert Schuman announced on 9 May the Schuman Plan for a European Community that changed the face of the planet. Europe entered the longest period of peace in more than 2000 years. France, Italy and the Benelux countries entered a boom period known as the Thirty Glorious Years. Germany, that was now able to join the Community, experienced the Economic Miracle, the Wirtschaftswunder. Obviously Europe has been taking a wrong track since then. Let’s take another example. One hundred years ago there were 60,000 Jews in Israel retaining the legal claim to their heritage. They were an 8 percent minority, oppressed and exploited to penury by the Ottoman Turkish Caliphate. Except where they had reclaimed the land, the economy was flat, the land barren and lifeless. Scarcely anyone wanted to live there. Today that barren land has blossomed "like a rose." Millions of trees have been planted. Industries unknown in history are thriving. In a century it has become the powerhouse of the Middle East. It has a scientific, complex, hi-tech economy with a GDP per person equal to Europeans. That is twice of any other of the region’s States except the cartel of oil and gas exporters. There too often Islamic ideology still holds force. Both Europe under the Schuman Plan and Israel did something right to defy the irrational Marxian philosophy. Judeo-Christian philosophy. But maybe the European Commission should take another look at Marx. Groucho Marx.